Happy first day of fall! I’m sure some of you are already experiencing cooler weather. If you are, I’m definitely jealous. I can’t wait for cooler temps, jeans, and sweatshirts. 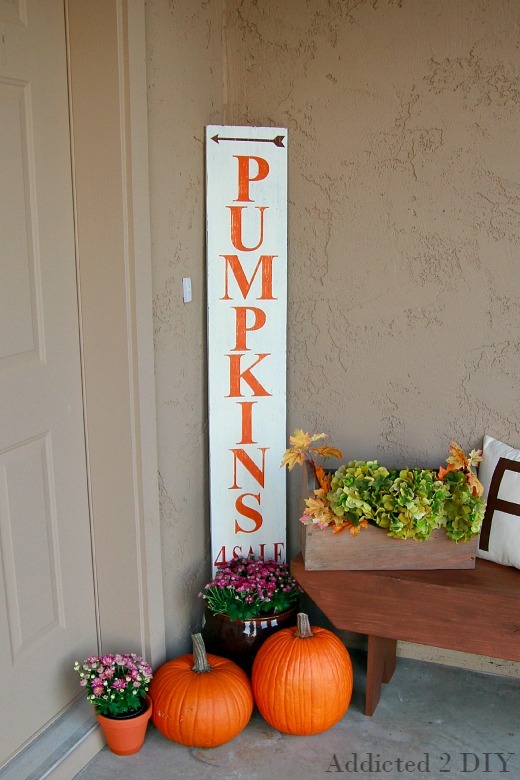 Today I’m sharing a super quick sign I made for my front porch. It’s going to be a part of my fall home tour post tomorrow, so you’re getting a little sneak peek too! It was one of those projects where I was staring at a scrap piece of wood in the garage and just knew I needed to do something with it. I decided would be a perfect addition to my fall porch. Believe it or not, I’ve never, ever decorated our porch for fall. 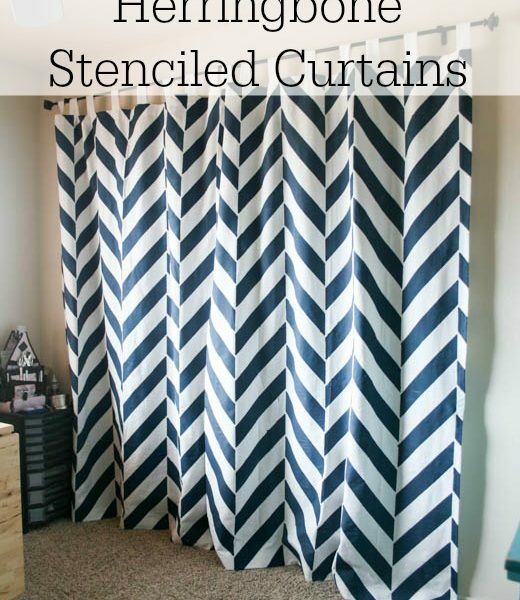 I’ve always wanted to, but it was so hard to spend the money on decor. Making almost all of it myself now makes that possible and I’m loving every bit of my festive front porch. 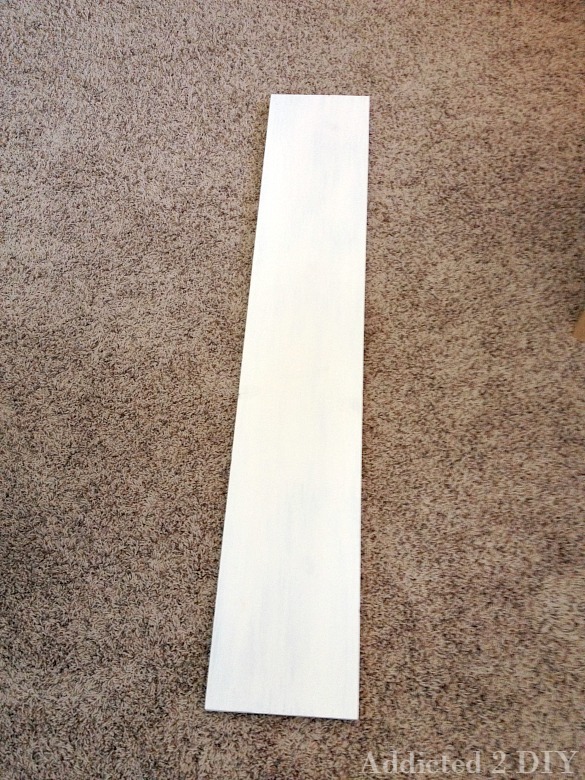 For the sign, I had a 1×10″ board in the garage that was about 53″ long. I have no idea what project it was leftover from, but I quickly put it to good use. I started by sanding it, then painting it with a coat of Americana Decor Chalky Finish Paint in Charcoal. I then followed that up with two coats of Americana Decor Chalky Finish Paint in Lace. Once it all dried, I brought it inside for the lettering. I used my Silhouette CAMEO and some scrap pieces of vinyl to create the letters. The font I used is called David. The look of it was exactly what I was going for, plus it’s also my husband’s name. It’s like it was meant to be! The arrow was one I found in the Silhouette Online Store. 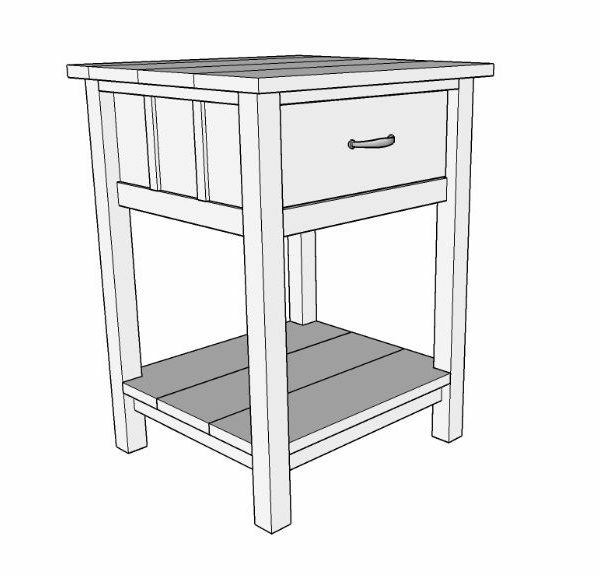 Based on the length and width of wood you use, the sizes of your letters may be different. I sized the arrow to go almost completely across the board. 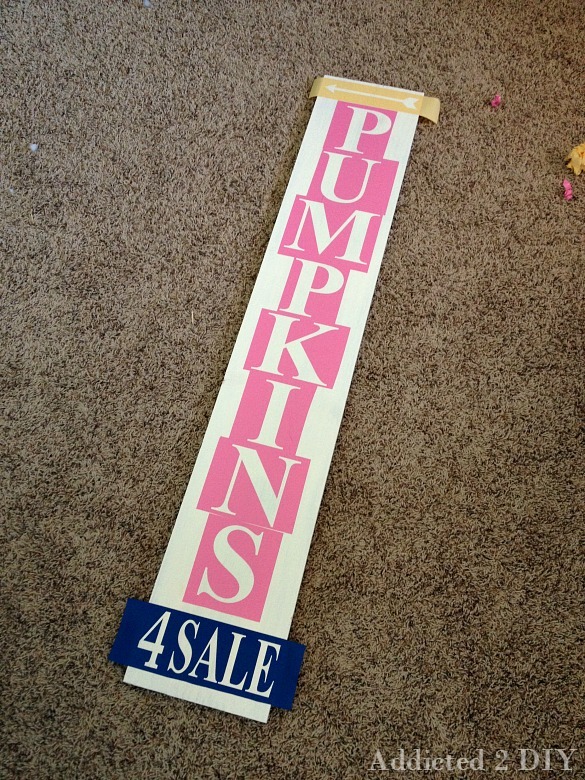 The letters for PUMPKINS are about 5″ long and the 4 SALE letters are about 3″ tall. Once my vinyl stencils were placed, I painted the letters using Americana Decor Chalky Finish Paint in Rustic, Heritage, and Cameo (top to bottom). While the paint was still wet, I carefully peeled the vinyl stencils off. The end result is great as is, but I liked to distress things. I took it out to the garage and grabbed some 220 grit sandpaper and started sanding it in areas to allow the black paint to show through. I feel like it gives things a little more dimension doing this. Once it was all sanded down, I wiped it down with a damp cloth. The orange paint likes to color the white paint a bit, but a damp cloth took care of that. I’m so happy with my sign and my newly decorated front porch. I love fall and having a festive and welcoming front porch makes me so happy. Tomorrow I’ll be sharing more of my fall decor with you as well as the full view of the porch! 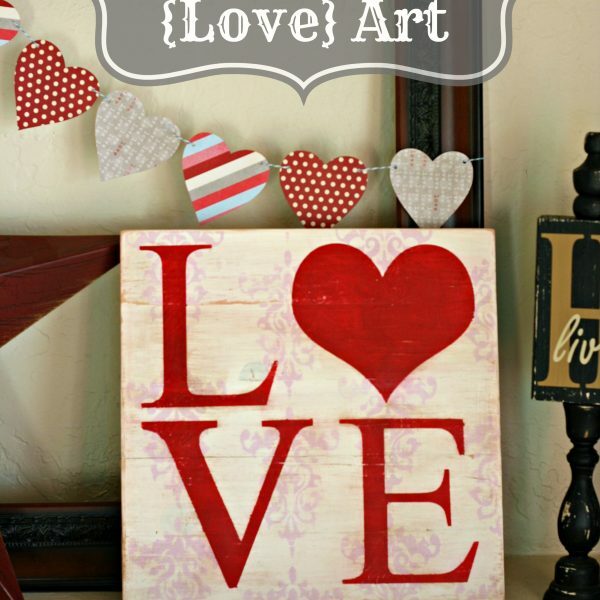 DISCLOSURE: I am a member of the DecoArt blogger outreach program. While I received DecoArt products to complete this post, all opinions and ideas are 100% my own. 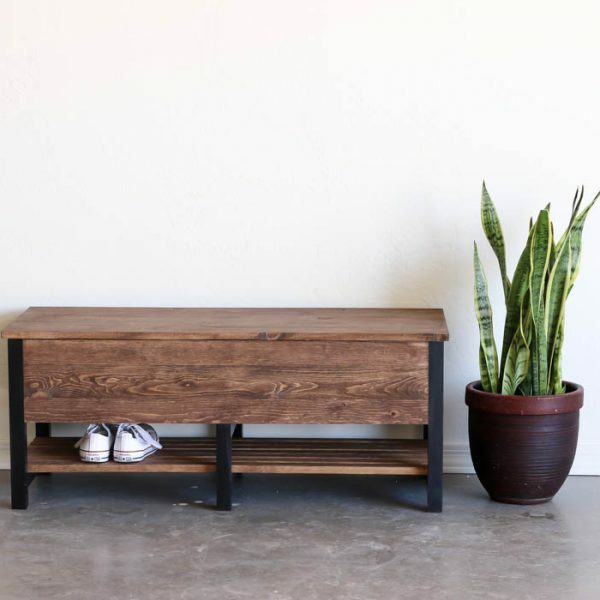 Knockoff Furniture Projects You Can Build For $100 or Less! 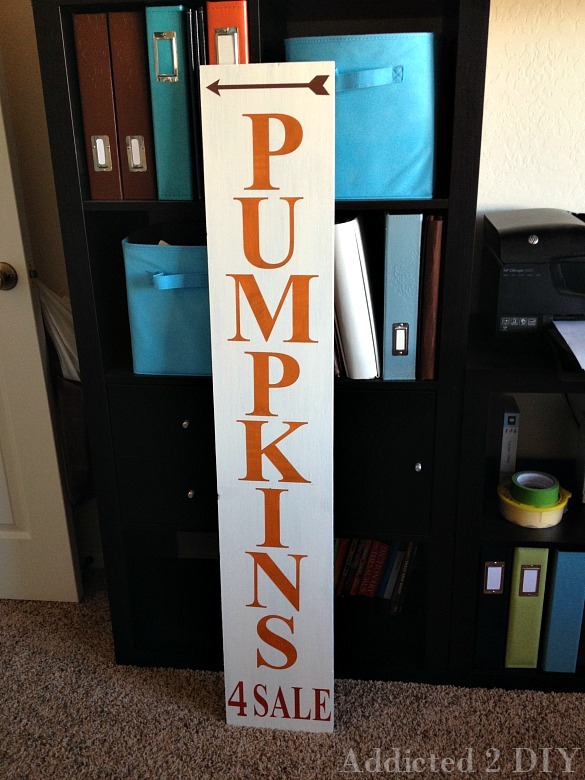 thanks for sharing this beautifu; chalky finish outdoors sign!